Like the Joomla! Community Magazine? Spread the word! 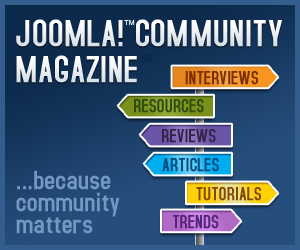 We have prepared some cool banners for you to use on your website and spread the word on the new Joomla! Community Magazine. You can either use the HTML code prepared for you already or simply grab the banner images in PNG format (attached below) and add them to your website with a link back to the website!